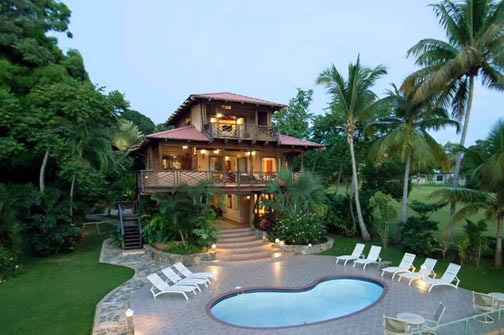 A beachfront villa in Rincón, Puerto Rico, is one of the properties listed in Join a Join. Join a Join, an online platform that offers travelers safe and cost-effective alternatives to hotel stays, has signed up more than 800 rental properties across Puerto Rico since it began operating in late 2013 to promote a new way of experiencing the island. Via a secure and interactive platform, Join a Join gives travelers access to places and adventures for a weekend getaway or extended vacation, from luxurious villas to cozy apartments by the beach and other sites of interest they may have not known existed, said Mike Leung, who along with his brother Steve founded the site. The platform’s network of property owners who register their houses or apartments — from luxurious villas to cozy apartments by the beach — have already benefitted from the website, some earning between $5,000 and $20,000 last year, Mike Leung said. The list of properties available for rental varies in price and location. For example, in the tourist area of Condado on Ashford Avenue a visitor can find a apartment for less than $100 a night with free Wi-Fi included, next to restaurants and shops. “The vacation rental market is becoming very popular for its many benefits. It’s as simple as booking a hotel and offers so much more for far less the price. You can finally afford to bring the whole family together or your group of friends for a vacation without the need to spend big bucks on multiple hotel rooms,” Mike Leungh said. “The commodities and price make it a good a alternative to a hotel, but what makes it greater than a hotel is that feeling of home, of belonging to a community even though you’re far from home,” he said. “Our goal is to connect proprietors with tenants or prospective clients through our online platform, all while promoting local and international entrepreneurship. Join a Join has helped book more than 500 nights all over the island and in the Dominican Republic. Some of our most popular locations in Puerto Rico include Rincón, Fajardo, Culebra, and Isabela,” said Steve Leung. Listing a property in Join a Join is free of charge. The owners can manage all the information, descriptions, pictures, and prices. They can also choose which dates are available and manage special prices for holidays or seasons. Join a Join promotes, receives reservations, and later delivers the revenues to the owner or property manager. For every transaction, Join a Join charges a service fee. Hey Buddy!, I found this information for you: "Join a Join drives Puerto Rico’s vacation rental market". Here is the website link: https://newsismybusiness.com/vacation-rental-market/. Thank you.